Ladies 14kt white gold estate earrings. 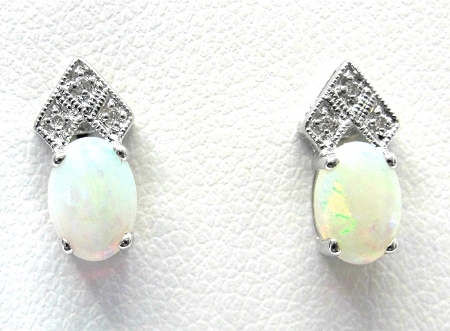 Earrings contains 2 genuine oval cut opal gemstones. Also set in earrings are 6 round cut diamonds weighing approximately .03ct total weight. Earrings have push on backs.